Once you've finished building your beautiful website using Dragie, you can easily export your code to host it on your localhost/web server. 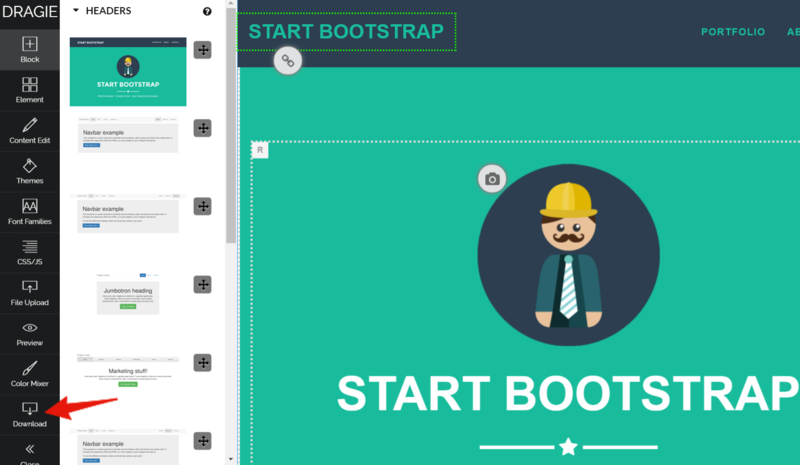 Step 2: A popup file File Window Appears. 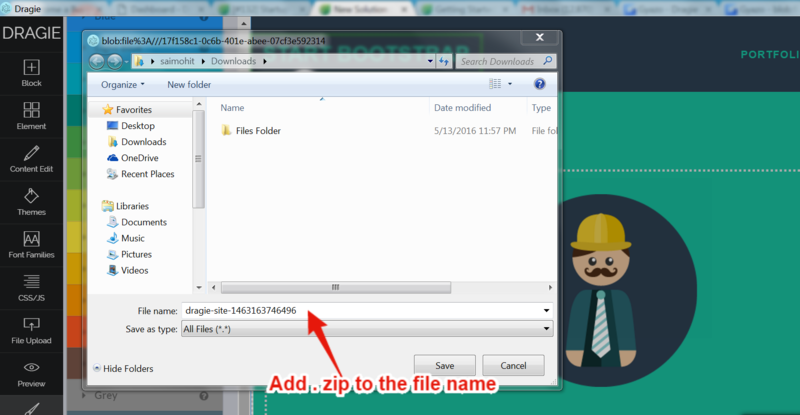 Add ".zip" to your FILE NAME. You won't able to access your website files if the ".zip" is extension is not added. Step 3: Extract your .zip file, and it contains all your webpage files like "index.html"...etc. Upload all these files to your destination host(local host/webserver). To access your webpage, head over to "yourwebsite.com/index.html".